I have been working for VitalEnergy as a Personal Trainer for 15 years, training a vast array of clients. I have trained 10 year olds and 92 year olds, men and women, athletes and people with serious health complications. My work as a Personal Trainer is also informed by my qualifications in other areas, particularly intrinsic biomechanics. 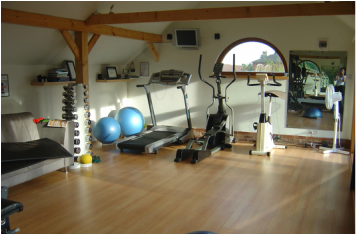 I offer small group classes at my private gym in Stebbing. I also design personalised training programmes to meet specific individual needs. What sets Sabina apart from the rest, is her attention to detail. I always knew she fully understood my body and its capabilities and pushed me accordingly. Her contagious positivity and energy never failed to astound and motivate me. She is an inspiration to us all with her dedication to constant learning on exactly how the human body functions.